In Chinatown, Los Angeles an exhibition “The Emerald City” is currently on view that embraces the artistic endeavors of painting. Thomas Soloman Gallery has selected various works by 11 different artists. It’s commonly said that paintings has always crowned the economic hierarchy of the art world, because of their successfulness in the art market. In response to this idea, contemporary artists have been breaking away from painting, involving a number of new practices and mediums in their work, further distancing themselves from the confined of “the surface”. This is clearly a progressive shift in the scope of the art currently being produced in todays cultural and social climate, but the romantic, painterly relationship with the surface becomes diluted and lost. 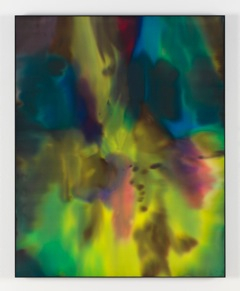 Thomas Soloman has brought together a group of works that exhibit a range of painterly practices and techniques spanning 40 years. 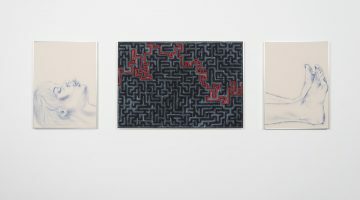 A few artists that stand out are Analia Saban, Matti Braun, and Etal Adnan (view images below). If your in Chinatown in LA stop by “The Emerald City” and view these works in person, and on you’re way out be sure to get some dim sum at the Empress Palace for some good eats. It will not disappoint. 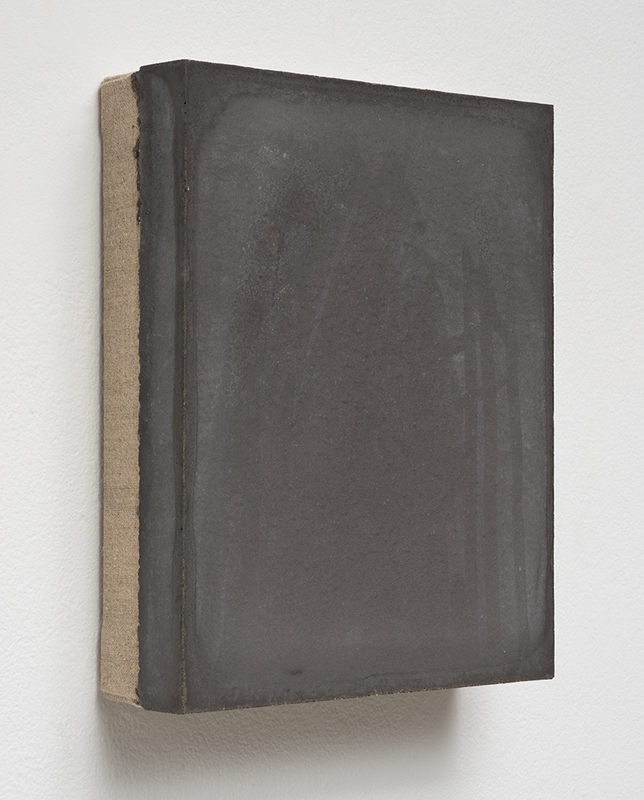 Analia Saban, Slab Foundation (Black) #2, 2012. Pigmented concrete on canvas. 10 1/8 x 8 1/8 x 2 1/8 inches. Courtesy of Thomas Soloman Gallery. Matti Braun, Untitled, 2012. Fabric dye on silk, coated aluminum. 26 1/4 x 22 x 1 inches. Courtesy of Thomas Soloman Gallery. Etal Adnan, Untitled, 2000-2005. Oil on canvas. 9 x 12 inches. Courtesy of Thomas Soloman Gallery. 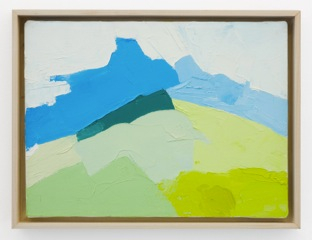 The Emerald City surveys processes in painting from works dating between 1972 to the present. Within this group of internationally diverse artists a wide range of methods are explored. Peter Young’s large-scale painting from 1972 utilizes a Rorshach technique grounding the show and actively calling attention to the theme of subjective perception, which spills onto all of the other works in the gallery. Beginning with this proposition we can envision the numerous directions painting today is taking, including the relationship between the artist’s hand vs. the mechanical and everlasting investigations into the distinction between abstraction and representation. A wide survey of techniques is presented ranging form Analia Saban’s use of pouring to Matti Braun’s dyeing. Ulrich Wulff’s finger painting suggests one possibility, while Brad Eberhard’s intricate method of sponging and sanding the surface of the painting presents another. We are reminded by the title of the show, of the journey through the space of painting that can lead to an otherworldly place. 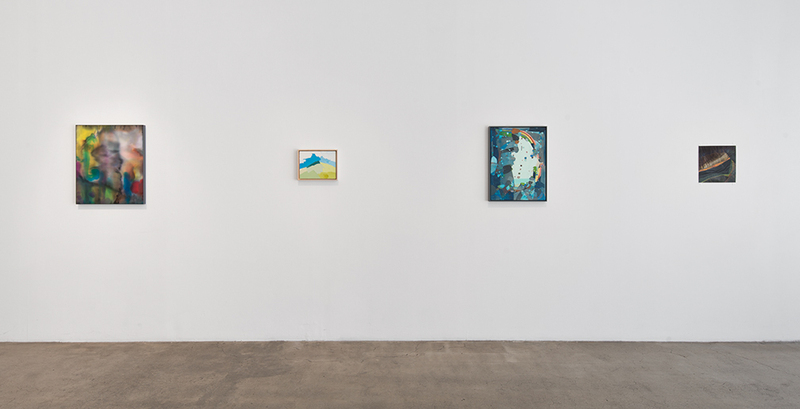 Whether through architectural references (Gunther Forg) or by way of automatic drawing (John Mills), The Emerald City attempts to engage viewers with a diverse presentation of transcendent paths leading to awe-inspiring rewards.